The NHL's All Star Game takes place right next door to Pittsburgh this year, in Columbus. 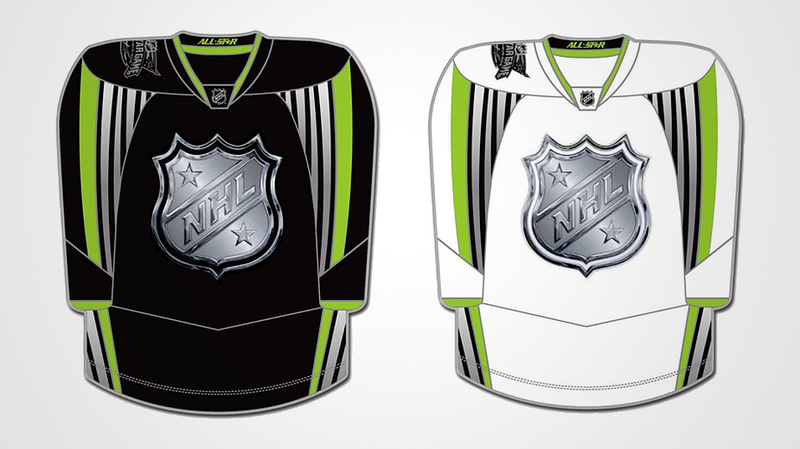 In the past the NHL's All Star jerseys have been regal and wonderful. This year... not so much. The jerseys, officially released this afternoon, have been spotted out in the wild at the Buffalo Sabres team store by Eric Schmitz of 3rdmanin.net. Originally leaked by our friends at Puck Daddy, via the fantastic Icethetics, the NHL plans to release them to the public later today on the NHL Network. 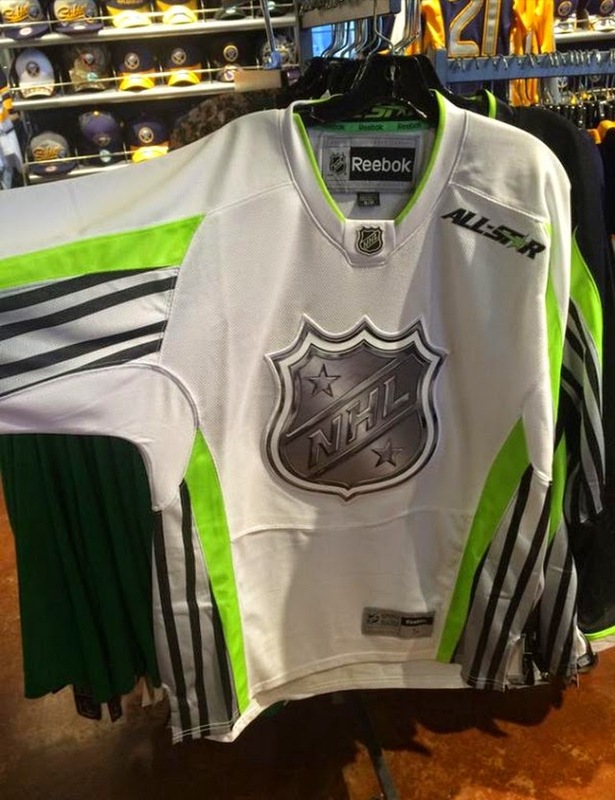 Should you point and laugh at these jerseys? 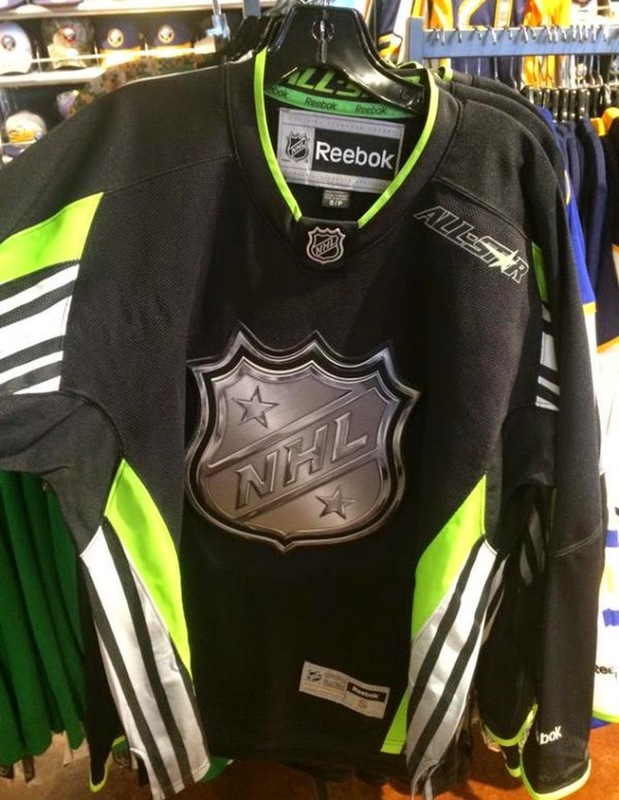 Will you be rocking a Crosby, Malkin, Fleury neon sweater? What say you?